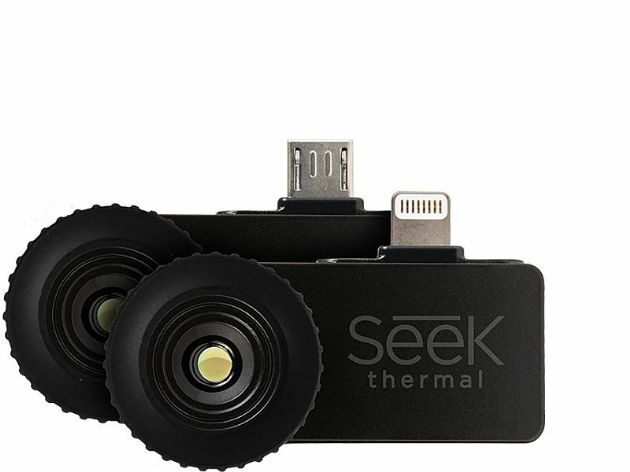 The Seek Thermal Compact XR is an enhanced thermal imager that is designed to work with a smartphone. The Compact thermal imager works day and night and comes with a wide array of colour palettes, maximising the devices efficiency. A perfect tool for hunters and outdoor enthusiasts, the Compact XR has a 206 x 156 thermal sensor that can detect fluxuations in temperature accurately, and comes with a narrow field of view of 20° and an improved detection range of 550m. Making it easier to observe wildlife without detection. The Compact XR works with a wide variety of smartphones, and is easy to operate with the free to download app. Once installed, the device is instantly ready for use.